The Satmar Rebbe is most famous for his defiant opposition to Zionism and the State of Israel. In the prewar years, he was influenced by the anti-Zionist theology of the Munkatsher rebbe, Ḥayim El‘azar Shapira. In 1922,The Satmar Rebbe was a leading participant in the anti-Zionist rabbinical congress organized by Shapira in Czap, Slovakia. 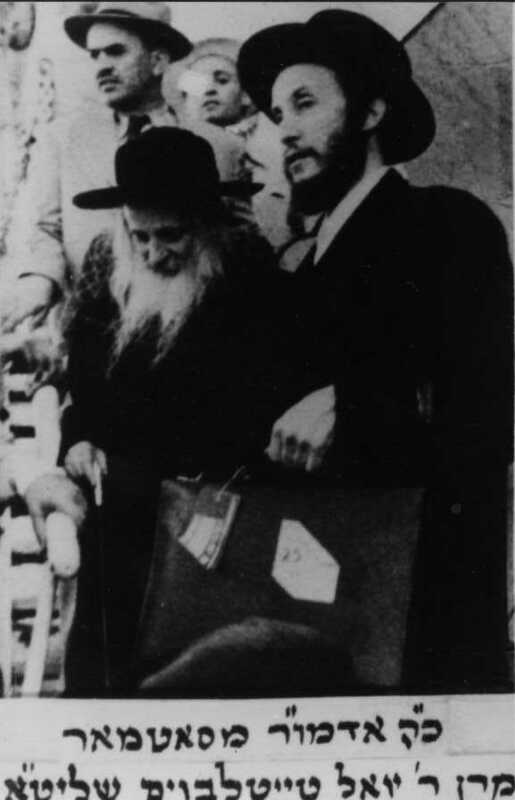 His signature appeared first—among those of many distinguished and more elderly ultra-Orthodox Hasidic rabbis from Galicia, Hungary, Romania, and Slovakia—on a declaration drafted at the conclusion of the Czap congress that excommunicated not only the Zionists, but also the Orthodox, non-Zionist Agudas Yisroel movement for its alleged concessions to Zionist ideology and participation in Zionist political activities. After the death of the Munkatsher rebbe in 1934,The Satmar Rebbe emerged as the Jewish world’s most learned, eloquent, and prolific rabbinical opponent of the Zionist enterprise. His uncompromising opposition to Zionism—and, after 1948, to any manifestations of Jewish life and thought even remotely associated with the State of Israel—became his central obsession, one that deepened with each of Israel’s political and military successes. Among his many writings, two systematic and extensive anti-Zionist polemics stand out. The first, composed over an extended period beginning in 1932, was the three-volume collection Va-Yo’el Mosheh (1959–1961), the most detailed and scholarly rabbinic argument against Zionism ever written. The first, and theologically most significant, part of this work is an exploration of the “three oaths” that, according to the Talmud, the exiled nation of Israel swore to God, committing the Jewish people to political quietism: they would not rebel against the nations of the world or attempt an organized national return to the Land of Israel until the final, supernatural messianic deliverance. The second part deals with—or, more precisely, dismisses—the biblical commandment to dwell in the Land of Israel; the third part forbids the use of modern Hebrew as a spoken language. The Satmar Rebbe’s other major polemic, ‘Al ha-ge’ulah ve-‘al ha-temurah (On the Redemption and on Its False Replacement; 1967), written in the aftermath of the 1967 war, elaborated a demonological and apocalyptic interpretation of modern Jewish history according to which Zionism and Israel were the agents of Satan. In his view, Israel’s stunning military success was, literally, the devil’s work, and the Holocaust was a consequence of God’s need to deal brutally with Satanic forces that Zionism had unleashed.